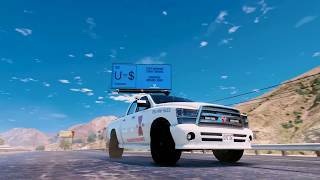 "Mors Mutual Insurance, we expect the unexpected", But one thing that won't be unexpected is the rip-off deductible you'll get once you accidentally drowned your car in the LS river while running away from a rampaging tank, or when you got blown up by mysterious flying motorcycles. 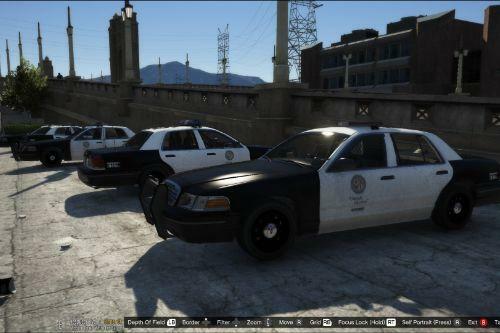 My fist mod in GTA5-mods! 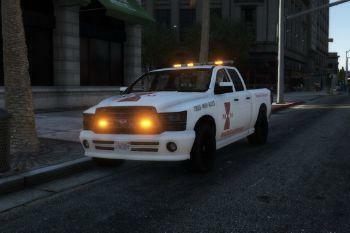 I present a Roadside assistance Bravado Bison I originally made for my game as a Bicycle/Motorcycle Tow vehicle for LSPDFR (using StopThePed). 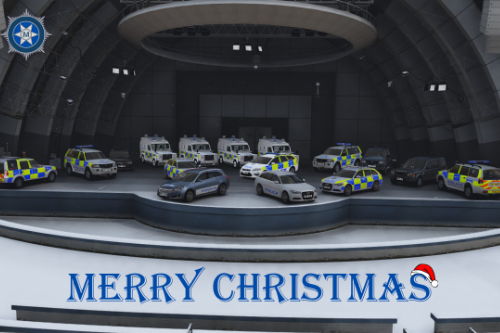 However, this is a nice addition for Role-playing so feel free to add to your Fivem servers, just credit me. New version now available as DLC for easy install. Old version still avaliable if you prefer it. 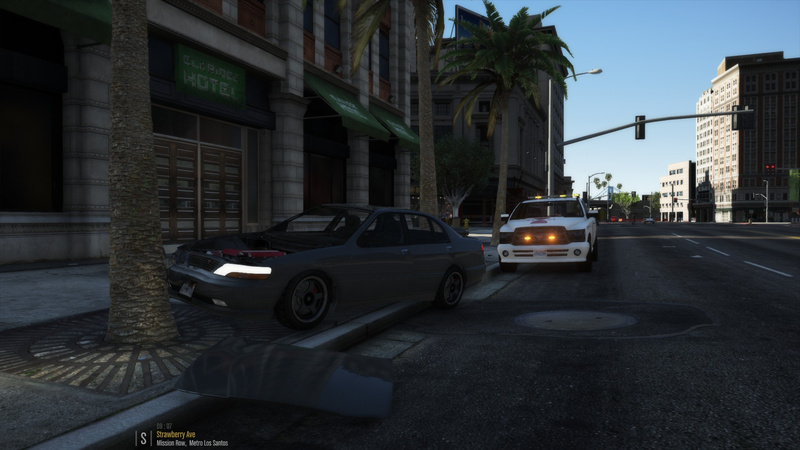 Changes were the removal of all police related accessories for a more civilian feel, lightbar reposition (akin to Tow/Roadside vehicles). Uses Carcol id value 23. if you use that, change that value. Version 3.1 up for approval for a quick bug fix. Glass is breakable again! @GOM PM me here through the forum chat. 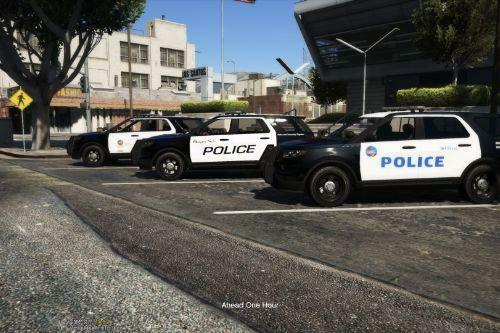 @bravo-one-charlie Is there a DLC you recommend for installing the sirens? 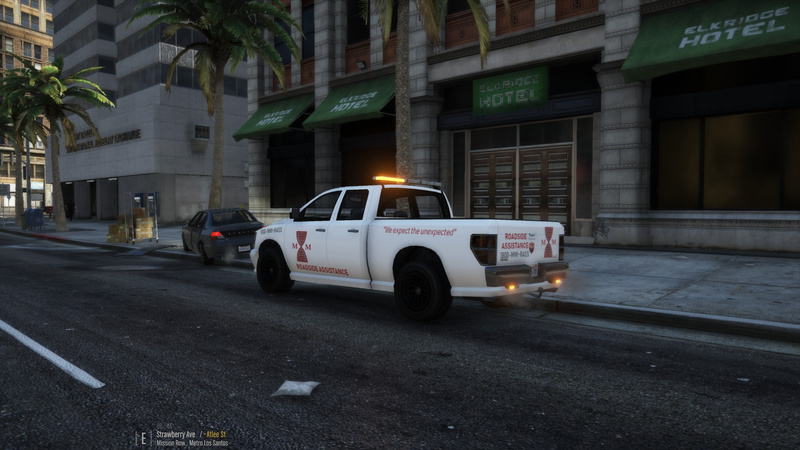 I tried multiple DLC's .and now i get a static orange image through the truck when i look at the vehicle from the front. I wanted to add a screenshot but i dont think thats possible here? Maybe you recognize the problem and know what im doing wrong. I really want this to work. It looks awesome. Worked as it should in both. I might update this and launch as a DLC in the new version. Updated! 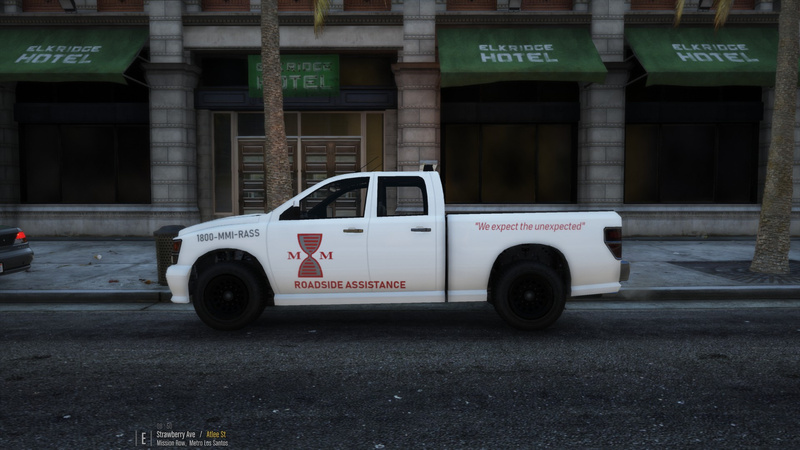 New reworked model more realistic to real roadside assistance trucks. @parpar78 New version is out as DLC. it should solve the carcol issue unless you already use slot 23. @bravo-one-charlie This is awesome, thank you. 5 stars for sure, looking forward to more stuff like this. @parpar78 Thank you very much! 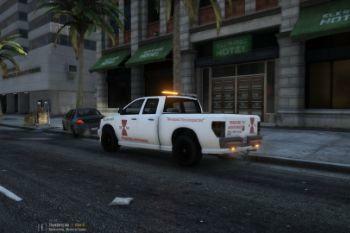 @bravo-one-charlie Any chance you’ll do SanTrans (Based on CalTrans) vehicles in the future? @Swed1431 Possibly, maybe start as a skin for this. Version 3.0 is up! Returned to Yard1's model due to a dirtmap issue on the previous model. 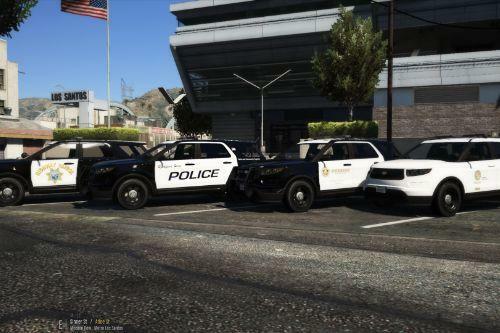 Still has all the improvements to look like a roadside truck, not just a skinned police truck. @bravo-one-charlie If it's not already, I recommend making an optional non push bar version. Push bars on an insurance vehicle is odd - unless MMA will sometimes push disabled vehicles off the road, then I could understand it. 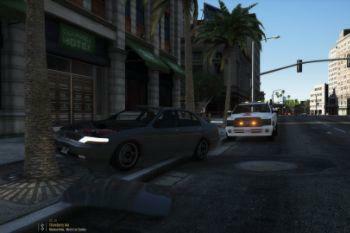 All in all this is an amazing mod and it perfect for STP, as well as just roleplaying. 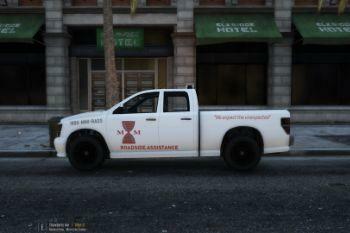 @Spectre6 The pushbar is a rare spawn and not unusual on roadside assistance truck, so it was my choice to keep it. 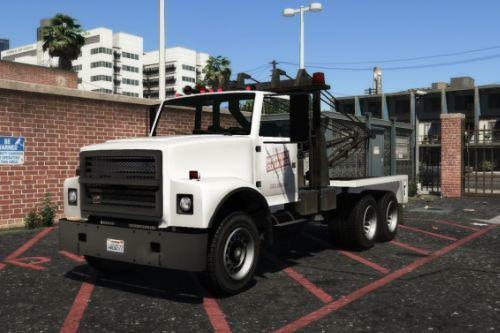 Also makes sense for DoT vehicles which some people use this as a base. Wow. I realy like it. 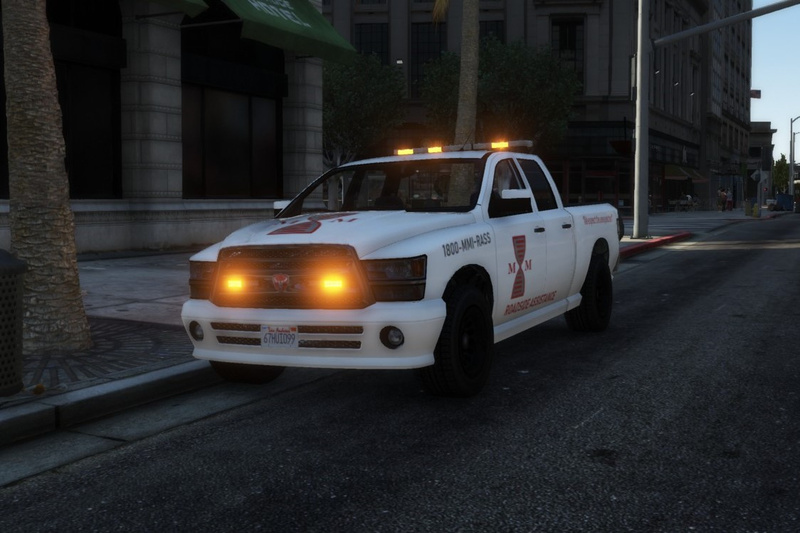 Any chance for an update with breakable glass, maybe even with reverse light? @HjortenDK Wait no brakeable glass? I can fix that it was unintentional. 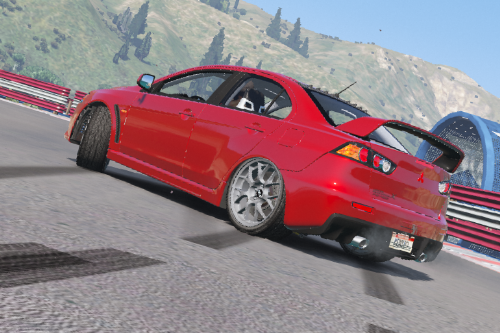 As for reverse, some vanilla cars don't have it it's a rockstar dev oversight. 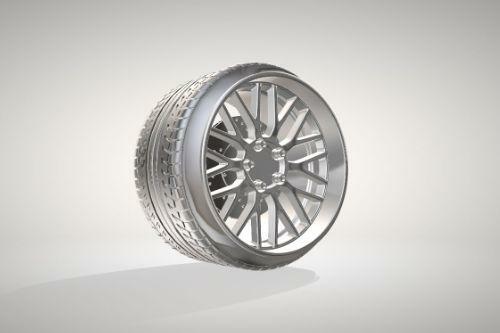 @HjortenDK Glass is fixed, check the new version. @bravo-one-charlie WOW.. So cool of you too fix it that fast. Many thanks.